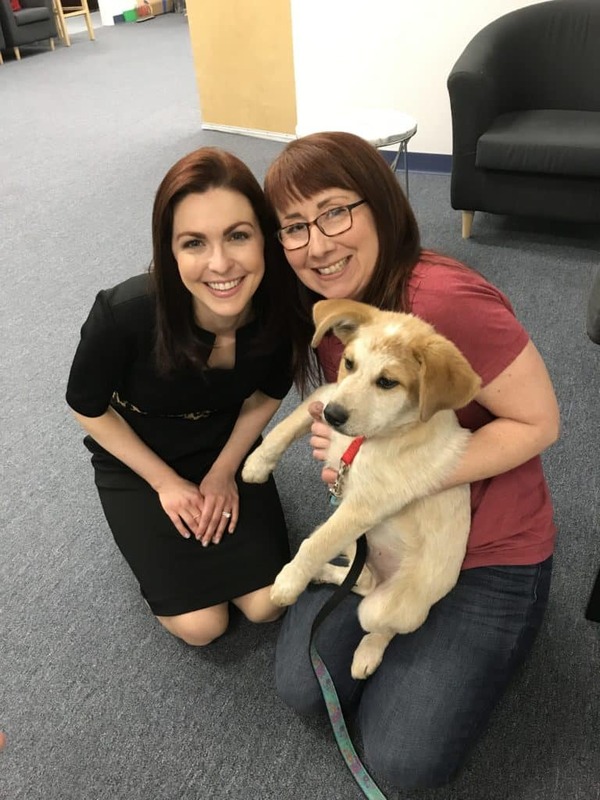 Jill Horner of Comast Newsmakers, with Jennifer Bailey and Newark. From left to right: David Semless, president, VAO Board of Directors with adoptable dog Mason, Camden County Freeholder Jonathan Young, Sr., Voorhees Township Mayor Michael R. Mignogna and Jennifer Bailey, marketing director, VAO, with foster puppy Bran and Bill Romaine, cat manager, VAO with an adoptable cat. 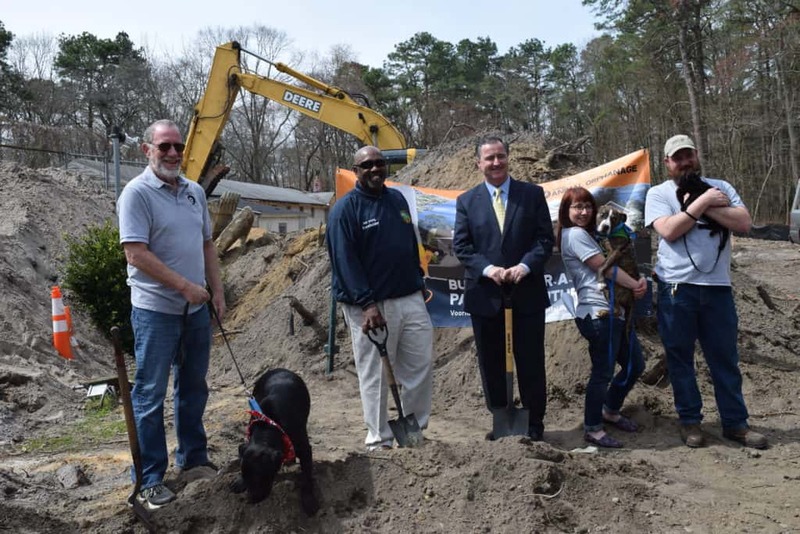 Voorhees, NJ (April 9, 2019) – Voorhees Animal Orphanage (VAO) employees and volunteers joined local public officials today to celebrate the groundbreaking of VAO’s new 8,900 sq. foot shelter. The new facility is being constructed at their current location at 419 Cooper Road in Voorhees, next to the Voorhees Township Fire Department. 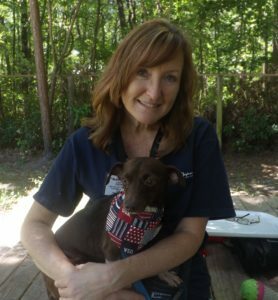 Voorhees, NJ (March 19, 2019) – The Voorhees Animal Orphanage (VAO) ofVoorhees, NJ announced it has been awarded a $20,000 grant from the Petco Foundation to help VAO support its mission of providing care to cats and dogs until they can be placed into loving homes.